Harborside Wellbeing, PLLC, was founded by Beatrice Tauber Prior, Psy.D. a Clinical Psychologist, with 25+ years in the mental health field. Her early clinical work with children and families who have experienced abuse, trauma and loss prompted her to specialize in child development and neuropsychology. Through her career, she has provided consulting, treatment and assessment services for various groups including foster care and adoption agencies, the criminal justice system, hospital inpatient, outpatient and emergency departments, and early childhood intervention. She is licensed in North Carolina and is a Health Service Provider Psychologist. She is an active member of several organizations including the American Psychological Association, the North Carolina Psychological Association, Division of Independent Professional Practices and the Authors Guild. Dr. Prior genuinely sees the value in every person, even if at the time, that person is unable to see that same value in his/her self. Her professional expertise and caring personal approach makes her uniquely qualified to put her clients on a path to wellbeing so they can achieve their best possible self. Harborside Wellbeing hosts experts in their field to provide educational resources to those who need it most. This collaboration with experts was the beginning of a children's book series that began with the first book released - Grandma and Me: A Kid's Guide for Alzheimer's & Dementia. Dr. Prior saw many struggling with this difficult set of diseases and partnered with a registered nurse and dementia care educator to make Grandma and Me a premier guidebook for families facing dementia. The two are currently working on additional books.  From the moment you walk in to Harborside Wellbeing you know you are in an office designed with wellbeing in mind. The office setting was specifically chosen to be located on the shore of Lake Norman. Dr. Prior knows the feeling of walking into a doctor's office when that office is sterile, cold and uninviting. These are the last qualities you want to feel when you are on a journey toward health. From the moment you walk into Harborside Wellbeing, the lake greets you and your cortisol level (stress hormone) drops. It is at this moment that you realize wellbeing may be possible. Dr. Prior has walked the journey toward wellbeing with many and considers it a privilege to walk the journey with you. We look forward to hearing from you. Dr. Prior is a competent, creative and energetic clinician whose energy is contagious to those around her. Jeanne Smith, MFT. Executive Director, Center for Healing Childhood Trauma. Dr. Prior is a person who is warm, empathic, and genuine. She provides the highest level of quality services to all clients. Dr. Craig Muir. PhD. Director LLU/VA Neuropsychology Division. I have known Dr. Prior for over 10 years. She is an invaluable and well-respected psychologist, both to her colleagues and the community. Dr. Prior's expertise has been and will continue to be an asset to children and their families. Dr. Molly Murphy Wittig, PhD. Clinical Psychologist, Marlborough, New Zealand. Where Is the Social Media? You will notice links to helpful articles on this website. You will also notice links and reviews for Grandma and Me: A Kid's Guide for Alzheimer's & Dementia, but you will notice no links to communicate via social media. There are so many ways to communicate these days. Tweeting, texting, emailing, and the list goes on and on and on. Many of these common modes of communication, however, put a clients privacy at risk and can be inconsistent with the law and with the standards of the psychological profession. Harborside Wellbeing is looking into telehealth as an option to assist clients who are unable to come in to the office. However, at this time communication occurs by phone or in the office only and via the website contact page for administrative purposes (i.e. appointment dates and times). Of course psychologists love to hear that they have helped a client. However, the posting of a review on-line can place a clients right to confidentiality at risk. The American Psychological Associations Ethics Codes states "Psychologists do not solicit testimonials from current therapy clients/patients or other persons who because of their particular circumstances are vulnerable to undue influence". Because Harborside Wellbeing honors this adherence to confidentiality there will be no current/former client testimonials posted on this website.